The list of national parks of Norway includes 33 national parks on the Norwegian mainland and 7 on Svalbard archipelago. • 98 smaller protected areas. This accounts for 12.1 % of Norway's mainland. The Norwegian government intends to increase this area in the future to at least 15 %. The idea of establishing national parks is fairly old. This issue was raised from the early 20s of the previous century. 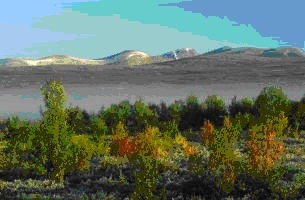 However, the first NP (Rondane) was established only 50 years ago. Let’s have a look at some of Norway’s National Parks. Rondane National Park is the oldest national park in Norway, established in 1962. In the park there are 10 peaks of more than 2000 metres altitude. The highest peak is Rondslottet at an altitude of 2,178 m. The park is an important habitat for herds of wild reindeer. The park was extended in 2003. Jotunheimen (“Home of the Giants”) National Park is a national park in Norway, recognized as one of the country's first hiking and fishing regions. 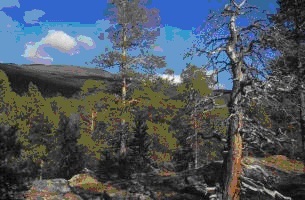 The national park is part of the broader area of Jotunheimen. More than 250 peaks are above 1,900 metres, including Northern Europe's two highest peaks: Galdhøpiggen 2,469 metres and Glittertind at 2,465 metres. The National Park covers most of the mountain area of Jotunheimen. Glaciers have carved the hard gabbro rock massifs of the Jotunheimen, leaving numerous valleys and many peaks. Wildlife includes reindeer, elk, deer, wolverines and lynx. In most lakes and rivers trout can be found. Hardangervidda National Park is Norway's largest national park. Designated as a national park in 1981, today it serves as a popular tourist destination for activities such as hiking, climbing, fishing, and cross-country skiing. A railway line and a Highway cross the plateau. Several hundreds nomadic Stone Age settlements have been found in the area. There lies the southernmost boundary of several arctic animals and plants. Wild reindeer herds found there are among the largest in the world. Jostedalsbreen National Park is a national park in Norway that encompasses the largest glacier on the European mainland, Jostedalsbreen. The park was established in 1991 and it was extended to the northwest in 1998. Within the Park there is the Famous Ice Museum (Bremuseum). Forlandet National Park lies on the Norwegian archipelago of Svalbard. The park was established in 1973 and covers the entire island of Prins Karls Forland as well as the sea around it. This marine area is famous as the world's northern border of Stone Seals and of the population of Common Guillemot. In this area there are numerous archaeological remains from Norwegian and Russian hunters and whalers. At Svalbard (Spitsbergen), the Forlandet NP and six others NPs cover more than 60% of the island’s area.